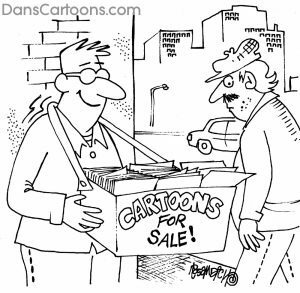 Selling cartoons to a tumultuous market base. By “tumultuous” I mean it can be a variety of things such as competitive, difficult, fickle and a many other descriptive terms. 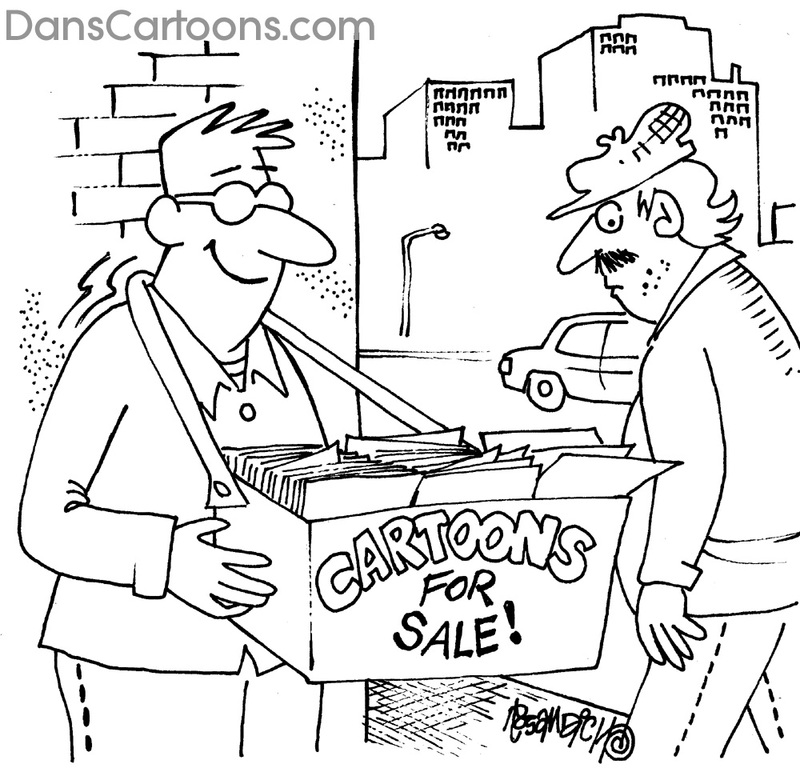 Selling cartoons for any cartoonist is tough when starting out. You basically need to find your niche. What you’re good at or what you excel at. Is it comic book illustration? Is it comic strip creation? Is it single panel gag cartoons? Do you seek to become a book illustrator? Are you looking to make your mark as a political cartoonist? There may still be potential in that aspect of cartooning, but know that a lot or most of the newspapers out there do not place a priority on having their own “staff” cartoonist. I gradually cartooned my way into fulltime cartooning. I started selling to magazines. Then to newspapers. I also built a cartoon market list of publishers whose editors liked my work or located magazines that buy cartoons via subscribing to specialized newsletters that kept gag panel cartoonists informed of new publishers looking for cartoons. I then learned how to publish cartoons online with the burgeoning popularity of the internet. Selling cartoons isn’t easy nowadays. It takes patience and a basic know-how about marketing and how to promote your cartooning services. I believe for me, it was my continuous efforts where I gradually learned promoting myself through trial and error that helped me. Luckily by also playing the numbers (keeping alot of cartoon work in circulation to a variety of publishers), I was able to meander my way through a difficult market place. 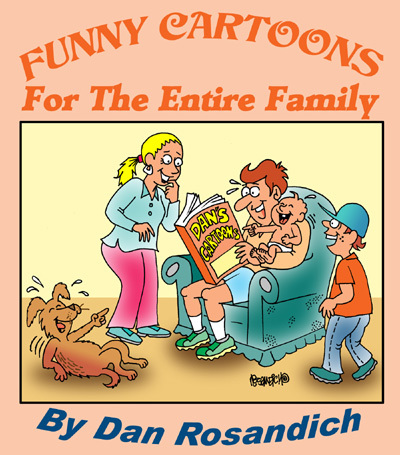 I never thought I could publish cartoons in books nor did I think I would end up as a book illustrator. But through constant and steadfast marketing, I was able to realize what I aspired to.